I spend a lot of time at my desk. I work at my desk, play video games at my desk, and sometimes I eat lunch at my desk. Given the amount of time I spend at my desk, it’s no surprise that it gets dirty pretty quick. In fact, my girlfriend often reminds me (loudly) that I need to clean it. 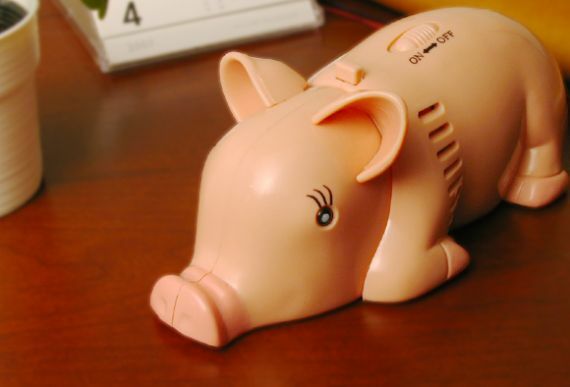 Now, thanks to a small pig-shaped vacuum, cleaning my desk will be much easier, and a lot more fun. After all, steering a small pig around my desk sounds far more enjoyable than getting out the paper towels and the spray bottle full of cleaner.